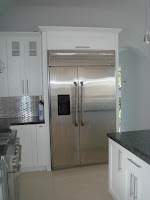 Global Sales: Bermuda Customer Shares Great Kitchen Pictures! 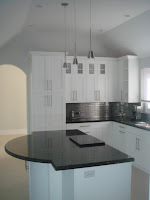 Bermuda Customer Shares Great Kitchen Pictures! 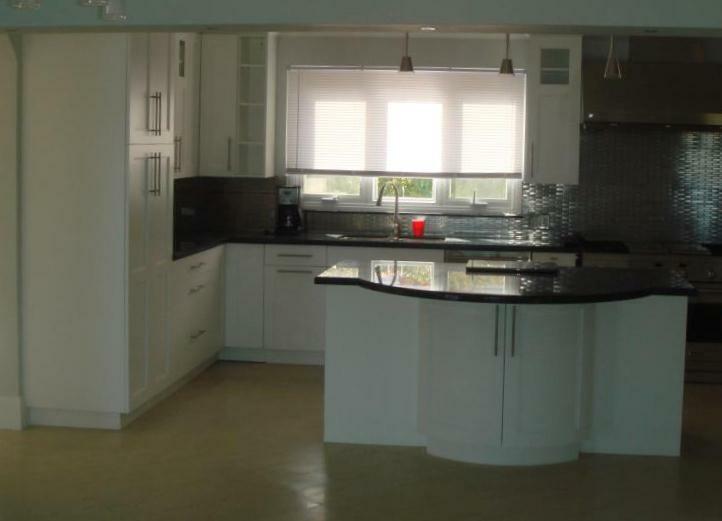 Thank you to Johnny White in Bermuda for sending us pictures of his new kitchen. 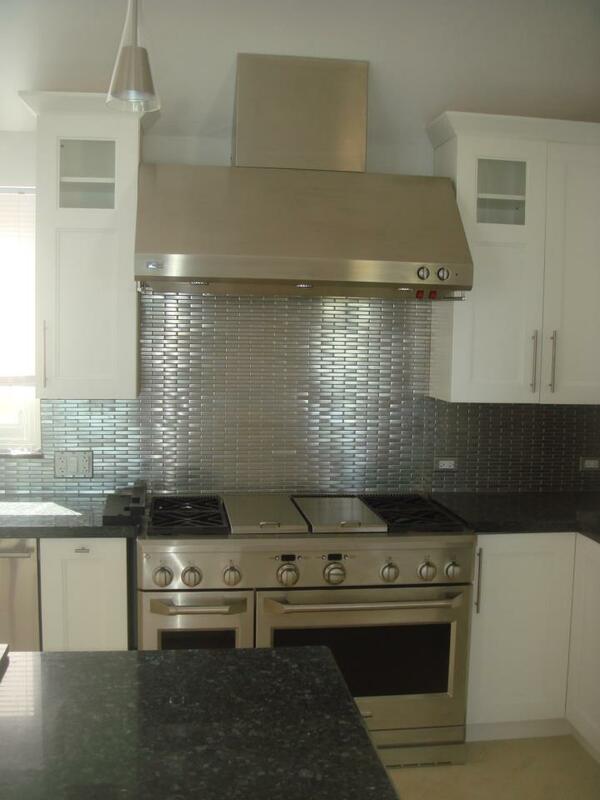 We worked on the kitchen design and supplied Elmwood cabinets, stainless steel backsplash tiles and appliances. 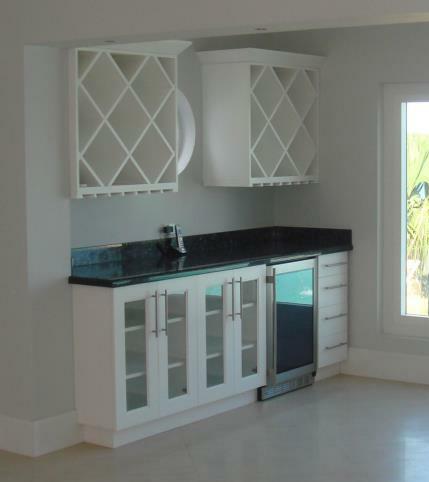 We also designed the adjacent bar area with a wine refrigerator and room to store and display wine bottles and glassware. To get more ideas for your kitchen, visit our Kitchen Photo Gallery or contact our Design Team today. Want to know what these cabinets cost?